Feeling overwhelmed is one of the most frustrating feelings that you can get as a business owner or entrepreneur, but unfortunately, it comes with the territory. It can come out of nowhere. You might be working hard on taking care of your customers and clients and provide such a good job that you end up getting referred and your customer and client list continues to grow. Then before you know it, emails aren’t getting sent, invoices aren’t being chased up, deadlines aren’t being met and the feeling of panic starts to creep in as you get overwhelmed. The good thing is, you aren’t alone. Many business owners and entrepreneurs face this, it’s almost a right of passage. That’s why I want to share with you 5 tips for dealing with being overwhelmed so that the feeling doesn’t linger too long and you can get on with making an impact in the world with your business. You need to go through your daily, weekly and monthly to-do list and start to prioritise the tasks that are the most important. If you have a really long to-do list, you shouldn’t get caught up in spending too much time on the smaller tasks. Prioritise the ones that are the most important and focus on them. If you have emails that need to be sent, content that you need to create or social media posts that you need to write, you should batch this work first of all. Instead of taking 30 minutes each day to do all of these, set aside a couple of hours at the beginning of the week and batch them. Once you have them batched you can then schedule them. For social media, you can use schedulers such as Hootsuite or Content Cal and for your emails, you can use automation systems such as MailChimp or Active Campaign. The last thing that you want when you are overwhelmed is to get distracted by little things that don’t really matter. Once you decide what tasks you’re going to work on, remove anything that will distract you from these tasks. So turn off your emails and social media notifications. Block out a certain amount of hours that it should take to complete the tasks. This is one of the most important things to remember when you feel overwhelmed. The worst thing you can do is dwell in the feeling of being overwhelmed. You need to dive in and take action on the list of tasks that you need to get through. Although it may seem daunting at the time, I promise you that once you start, it will seem so much easier. Just take it one task at a time. The best way to fix a problem is to prevent it in the first place. 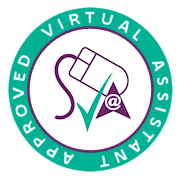 You can hire a Virtual Assistant that can seamlessly integrate into your business to take care of all of the above. They can prioritise your tasks for you, schedule your content and emails, block out time for you by managing your diary and help you to take action by allocating you one task at a time. One of the biggest benefits of having a Virtual Assistant is that they can focus on the smaller tasks that leave you feeling overwhelmed in the first place so that you can focus your attention and time on the tasks that you love and feel passionate about. Why not start focusing on the tasks that you love and reclaim your time today by booking a free consultation with me today here.